For many people, the quest for younger-looking, firmer skin is paramount. This search for well-being and an aura of vitality is present in our everyday lives now. The CACI Synergy Facial was developed as many people, led by celebrity influence, searched for a facelift procedure that didn’t involve actual surgery. The CACI Synergy Facial answers this need perfectly and gives superb results in terms of brighter skin and improved muscle tone. Fuss-free and with instantly noticeable outcomes, the CACI Synergy Facial is a game-changing revolution in the beauty world. It makes the many benefits facelift procedures provide open to all in a truly unique way. How does the CACI Synergy Facial work? For anyone thinking of booking into The Belmore Centre for this treatment, there is absolutely nothing to worry about. As a non-invasive facelift, it uses the latest innovations in technology to help firm up skin and refresh your look. The CACI Synergy Facial is carried out using a Computer Aided Cosmetology Instrument (CACI) and is a treatment that’s getting more popular by the day. It uses painless electrical pulses rather than invasive surgery to actually retrain how your muscles behave. During a CACI Synergy Facial, around 30 of your facial muscles are gently stimulated to help them tone and firm up. Designed to mirror the body’s natural workings, the gentle pulses the CACI machine sends will trigger chemical reactions at a cellular level to bring about fabulous results. Your face will produce more collagen and elastin when enjoying the CACI Synergy Facial and encourage new cells to form. Where the CACI Synergy Facial really excels is the new S.P.E.D microcurrent technology it uses. This allows LED light therapy to be used as well as the microcurrent pulses described above. The way the two technologies work together gives the treatment its synergy component. The CACI Synergy Facial also includes orbital dermabrasion, the unique CACI wrinkle comb, and ultrasonic peeling, to make it one facial that really stands out from the rest. We are confident that you will love not only the results a CACI Synergy Facial provides but also the treatment itself. Our trained staff are fully experienced in carrying out this type of treatment and will guide you through it in the most sympathetic manner. The treatment itself is not painful at all and the overall feeling many find at the end is one of total relaxation and whole-body well-being. We typically recommend an initial ten sessions over a 6-week period, returning every four to eight weeks afterwards for rejuvenation maintenance if desired. 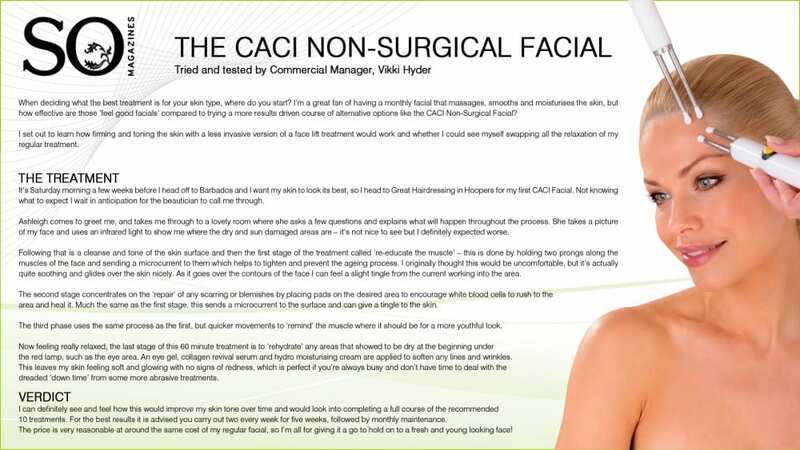 Having a CACI Synergy Facial can bring about many benefits. It will tighten up the facial muscles and help give a more youthful, fresh appearance. The muscles of the face are essentially re-educated to tone the face itself and the facial skin. Many people who try this facial love the confidence it gives them to rely on their own fabulous appearance when they go out, rather than using lots of make-up. It will also give refreshing hydration to any skin along with reducing wrinkles and improving skin pigmentation. We see the fabulous results and happiness this treatment brings on a daily basis. We are sure anyone will be blown away not only by the way it refreshes their look, but also in the luxurious treatment on offer when visiting us. For anyone in the Aylesbury and Buckinghamshire region, The Belmore Centre is the best place to have a CACI Synergy Facial. Our friendly staff are waiting to offer the warmest welcome on your arrival and our tranquil premises provides the ideal base to relax in. 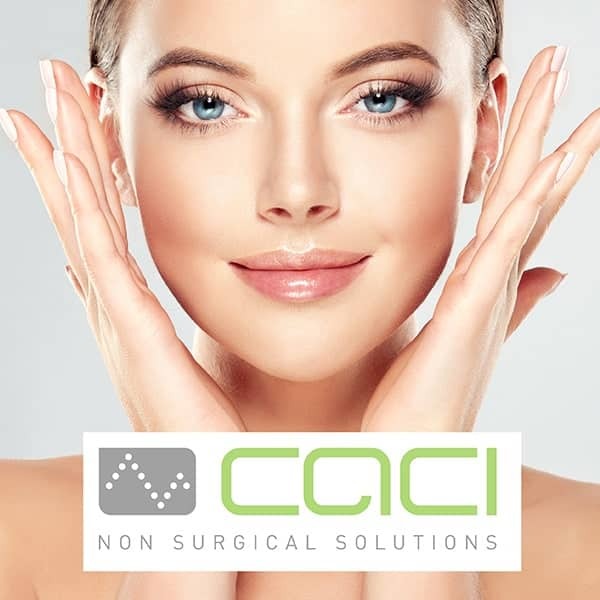 When it is time for the CACI Synergy Facial, we will make sure you have the best experience possible with one of our fully trained staff on hand to carry out the treatment.